I have a lot of female that i want to see him being paired too like moon chae won my top pick, kim so eun (my bias), park shin hye, or ham eun jung. More are in my head but im really praying for a chaeki comeback hahahaha. The star writer of Secret Garden, A Gentleman’s Dignity, and Heirs will be back with a new “human melodrama” for SBS, which means SBS is probably already counting their chickens (or moneys) since writer Kim Eun-sook is pretty much a sure thing for them in terms of ratings. Love or hate her dramas, they still have a way of tapping into the zeitgeist and becoming pop-culture phenomena, kicking off trends, catchphrases, and jokes that linger after the shows are long off the air. The new drama is titled Descended From the Sun, and the producers aren’t even trying to be modest: “It’ll be a human melodrama on a blockbuster scale, the likes of which have not been seen in Korean dramas before.” Yes, keep those expectations realistic. To be fair, it does have some hefty support behind it; the drama will be the first television series planned by film production company Barunson, which has produced a number of notable films, including The Good, The Bad, The Weird and Mother. It’ll be co-producing with drama production house Hwa & Dam Pictures (Heirs, Secret Garden). Kim Eun-sook will not be the sole writer, either, as she joins forces with Kim Won-seok, who penned the well-received drama Queen’s Classroom last year. Writer Kim Eun Sook, who has penned such hits such as “The Heirs,” “Gentleman’s Dignity,” and “Secret Garden,” has revealed the story line for her next drama. Hwa and Dam Pictures, which will be in charge of producing Kim Eun Sook’s next project, announced on February 18 that the working title of the drama is “Descendants of the Sun.” Centering on people who work at disaster scenes, the story will follow how the leads will slowly open up to each other through sacrifice and consideration amid the desperate situations they encounter. According to the production company, this drama will be a human melodrama of a blockbuster level difficult to be found among Korean dramas. “Descendants of the Sun” will be co-produced by Hwa and Dam Pictures and Baruson Entertainment. Hwa and Dam Pictures has worked previously with Kim Eun Soon on “Secret Garden,” “Gentleman’s Dignity,” and “The Heirs.” Baruson produced the films “The Good, the Bad, the Weird,” “Mother,” and “The Servant.” “Descendants of the Sun” will be Baruson’s first drama production. “Descendants of the Sun” will start filming in the latter part of this year at overseas locations, and is expected to air in early 2015 on SBS. Kim Eun-sook, "The Heirs" writer chooses "The Descendant of the Sun"
"The Heirs" writer Kim Eun-sook is coming back with a blockbuster drama. She's chosen "The Descendant of the Sun" as her next project. "The Descendant of the Sun" is about the love between the characters in a desperate situation risking their lives to protect each other. This drama is a rare kind of a blockbuster human mellow drama. Kim Eun-sook is co-writing with Kim Won-seok from "The Queen's Classroom". The drama is being produced starting from the end of the month and will be broadcasted at the start of 2015. Heirs’ writer Kim Eun Sook, who also scored hits with her dramas Lovers in Paris, Secret Garden, andGentleman's Dignity, is now preparing for her next drama. She has decided that her new project will beDescendants of the Sun, which is about the people who work at disaster sites. Her dramas typically draw big Korean stars, so people are already looking forward to hearing about the cast. Kim Eun Sook is well known as a top writer who is good at writing romantic comedy dramas with quick and witty dialogue and funny characters. This time she will try to write a melodrama, which will be a new challenge for her to work on a grand scale with other writers. The drama will be co-produced by Baruson Entertainment, which produced the films The Good, The Bad and The Weird, Mother and The Servant. Working with a big film company creates the expectation of high quality for Kim Eun Sook's new drama. The melodrama will be a cooperative writing project between Kim Eun Sook and writer Kim Won Suk, who wrote The Queen's Classroom. Kim Eun Sook’s dramas have boasted ritzy casts and high viewer ratings, so her new drama draws great attention from fans now. People want to know which top stars will be in it and who will become a new star after being in her drama. Descendants of the Sun begins filming later this year at an unnamed overseas location. It is expected to air in early 2015 on SBS. "Hit maker" scriptwriter Kim Eun Sook collaborated with a new drama scriptwriter Kim Won Suk, and they are coming back to the drama scenes with a new blockbuster drama. On February 18, 2014, according to a drama production company Hwa and Dam Pictures, drama scriptwriter Kim Eun Sook's next drama is called "Descendants Of The Sun." "Descendants Of The Sun" is a humane melodrama that tells the story of the sacrifice and love of people working at the rescue centers. According to the drama production company Hwa and Dam Pictures, "Descendants Of The Sun" is going to be a blockbuster drama, which has been rare in the Korean drama industry so far. The drama production companies Hwa and Dam Pictures and Ba Reun Son are going to produce "Descendants Of The Sun" together. The drama production company Hwa and Dam Pictures has produced a number of dramas such as "Secret Garden," "The Heirs," and "Dignity of Gentleman" with drama scriptwriter Kim Eun Sook. As for the production company Ba Reun Son, "Descendants Of The Sun" will be the first drama that the company it will produce, as it has strictly worked with movie production so far. Drama scriptwriter Kim Eun Sook will collaborate with a relatively new drama scriptwriter Kim Won Suk, who has written "The Classroom Of The Queen." "Descendants Of The Sun" will uncover a filming location outside of Korea in the second half of this year, and will be produced around then. "Descendants Of The Sun" is going to air in the beginning of 2015 on SBS. Copyright ⓒ 2015 DramaStars.com All rights reserved. Do not reproduce without permission. Storywise, all of Kim Eun-sook's dramas have been misses for me (the only thing that salvaged SG for me was the chemistry between Hyun Bin and Ha Ji-won), but I would most definitely sit through another KES drama just to see Song Joong-ki on my screen again. May the head desking and hair pulling begin! Writer Kim Eun-sook, known for the SBS dramas "Secret Garden" (pictured above), "A Gentleman's Dignity" and "The Heirs", will bring out another show next year. The new series, tentatively named "The Descendant of the Sun", is scheduled to premier next June, according to local media reports on Thursday that quoted an official from broadcaster SBS. The report came after a local news outlet said that Kim's new drama had failed to receive airtime on SBS. But an official from the broadcaster confirmed that the schedule was set for June. The new program is a melodrama that will show how people come together in times of disaster. While full details about the storyline have not yet been released, it has been said that the theme has never been seen before in a Korean drama. Writer Kim Eun Sook has previously written SBS hits “The Heirs” and “Secret Garden.” NEW (Next Entertainment World) will be producing the drama. It will be their first time producing a drama. They recently worked on the movie “Twenty.” Song Joong Ki is also considering joining the drama as the male lead. What are your thoughts on the potential pairing of Song Hye Kyo and Song Joong Ki? The next project for star writer Kim Eun-sook is titled Descended From the Sun, which we heard about earlier this year when it was first being planned. Now the drama is in talks to bring onboard director Lee Eung-bok, which would give us the writer for Heirs teaming with the PD of Secret. The drama is about a man and a woman working for Doctors Without Borders, who bond gradually as they save lives in disaster zones and end up falling in love. The production reportedly has offers out to several top actors, and as Kim’s projects tends to attract particularly high-profile cast members, expect a lot of buzz on this front. If Song Hye-kyo joins the cast, whoever the male lead is (even though an actor I dislike) I will definitely watch this. I have followed all Kim Eun-sook dramas, though only Lovers in Paris, City Hall and On Air are the only ones I REALLY loved. Especially Lovers in Paris which I have memorized Korean dialogs already. This is exciting for me, since this is a melodrama, and there are rare to ZERO quality melodramas out there. (None can level Full Sun until now) This will be a great change for Kim Eun-sook. Besides the definite change of genre, KBS-2 has a great collection of GREAAAAAAT melodramas!!! If Song Hye-kyo joins the cast, I cast my seal for this drama. (Though pls give a male lead that satisfies great acting for a melodrama. I've seen Song Joongki in Nice Guy but if she's Writer Kim's (or the casting director's) choice then so be it) If Kim Eun-sook nails a melodrama, I will return as a fan of hers. (Have always been, since Lovers in Paris, Prague, Lovers, City Hall, On Air... but pulled out after SeGa, but still watched them WAHAHAHA) I've lost fandom in her since she made overly intimate sexual scenes in her later dramas. BUT I AM SUPER DUPER EXCITED for a MELODRAMA!!! Finally!!! Oh man, I have such mixed feelings about this. On the one hand, YAY Song Joong-ki(Nice Guy, Wolf Boy) will be out of the army and is already looking at projects to return to dramaland! On the other hand, if he returns in a Kim Eun-sook drama (the hit writer ofHeirs, Secret Garden), I’ll have to follow two years of waiting with two months of pulling my hair out. Of course, this is purely a selfish reaction, since making your army comeback in a hitmaker’s new drama isn’t anything to scoff at. It’s likely that we’ll be seeing these types of offers come in by the truckload from now until May, when Song Joong-ki is due to be discharged from army duty, so this is only one of many potential projects for him, including the movie Fist Fighting. But he’s reportedly been offered the leading role in Kim Eun-sook’s newest drama Descended From the Sun, her first non-SBS show, to be directed by PD Lee Eung-bok of Secret and co-written by Kim Won-seok (Queen’s Classroom). Song Joong Ki will not be discharged from the military until May, but he is already fielding many offers for his first post-military project. “Descendents of the Sun” comes from the writer of “Secret Garden,” “Heirs,” and “Lovers in Paris,” all big hits for SBS. For the first time, writer Kim Eun Sook’s drama will be airing on a different network, on KBS. “Descendents of the Sun” will be helmed by “Secret” PD Lee Eung Bok. It has been revealed that actor Song Joong Ki is currently in talks to star in a new drama ahead of his military discharge. Meanwhile, Song Joong Ki will be discharged from his military service in May. Actor Song Joong Ki will be discharged from the army in May, and there are reports that the actor is seriously considering taking the lead role in star writer Kim Eun Sook’s new project ‘Descendants of the Sun’ which will air later this year on KBS 2TV. An official revealed that Song Joong Ki had recently met Kim Eun Sook to discuss ‘Descendants of the Sun,’ where the latter expressed her hope that he will take the lead role. Although Song Joong Ki is still in the army, the actor is reportedly taking a serious view towards accepting the offer. ‘Descendants of the Sun’ is a production that will involve plenty of overseas filming, and a large budget has already been foreseen in the planning phase. Star writer Kim Eun Sook who is known for her successful romance comedy productions like ‘Secret Garden,’ The Heirs,’ ‘On Air,’ Lovers in Paris,’ and others, is thus drawing much attention for her next project. KBS TV has also expressed that it would be airing the drama in the latter half of the year, but the exact date can only be confirmed later. If Kim Eun Sook and Song Joong Ki eventually end up working together on the drama, it will definitely be a win-win situation, and also something that everyone will be looking forward to. Kim Eun Sook previously worked with top stars like Hyun Bin in ‘Secret Garden,’ and Lee Min Ho and Kim Woo Bin in ‘The Heirs’ previously, and created a win-win situation for both parties. Before Song Joong Ki enlisted in the army, he had already garnered much attention and recognition for having excellent acting ability coupled with good looks among his peers of the same age. With rumors that both parties had been in the advanced stage of talks recently, many are looking forward to seeing what influence they would bring in their partnership. A representative from Song’s agency said, “With Song Joong Ki’s discharge date nearing, more and more offers have indeed come in. Just like the rumors which linked him to a movie recently, ‘Descendants of the Sun’ is just one of the many offers that have also come in. We can’t rule out anything, and everything is still being discussed,” as he displayed a cautious attitude towards Song Joong Ki’s comeback project. Song Joong Ki enlisted in August 2013, and will complete his service in May of this year. Song Joong Ki was rumored a month ago that he could be joining star writer Kim Eun Sook’s new project ‘Descendants of the Sun,’ and his agency has now responded to the said rumors. ‘Descendants of the Sun’ tells the story of Captain Kim Shi Jin, who belongs to the UN peacekeeping troops, and army doctor Yoon Myeong-Joo, and it will be directed by Lee Eung Bok. The drama is scheduled to greet viewers later this year through KBS 2TV. Those top stars who have done an outstanding performance so far will be joining the army this year. Starting off with Kim Jae-joong actor and member of JYJ, followed by Kim Soo-hyeon-I, Park Yoo-chun, Yoo Ah-in and Lee Seung-gi. Kim Soo-hyeon-I is starring in the new KBS 2TV drama "Producers" starting this April. He'll be on this for two or so months then he's going to finish a movie before he is admitted to the military. He's trying to decide if he should star in the movie "City of Violence". He's trying to fill up the gap during his absence and is taking his decision very seriously. Yoo Ah-in is coming out with two movies this year. "Veteran" is coming out on the 14th of May and he's starring in another historical movie called "The Throne". He plans on staying in close contact with the public although he'll be gone soon. The stars that have National Duty coming up including Park Yoo-chun and Lee Seung-gi, will influence the entertainment biz as they are the most wanted actors in any movie or drama. It's going to become hard to find a good actor in the lead. The competition to get them to star in anything is also intense and the stars are also serious when it comes to choosing the work that might be the final one for a very long time. They are trying to star in as many movies and dramas as possible before they go, or they are planning on releasing films while they are gone so that the empty space isn't so obvious. There are those who are going to benefit from their absence though. They are Yoo Seung-ho and Song Joong-ki, and they're both done with National Duty this May. Production companies are struggling to get to them first. Song Joong-ki has already confirmed to come back with KBS 2TV "The Descendant of the Sun" and Yoo Seung-ho is currently in the making of "The Joseon Magician". EXCITING to the max..... on the top of that.. Kim Eun Suk's Secret Garden was a life changing drama of my life.... YEAH!!! "Producers" and "The Descendant of the Sun", will they reignite Hallyu? 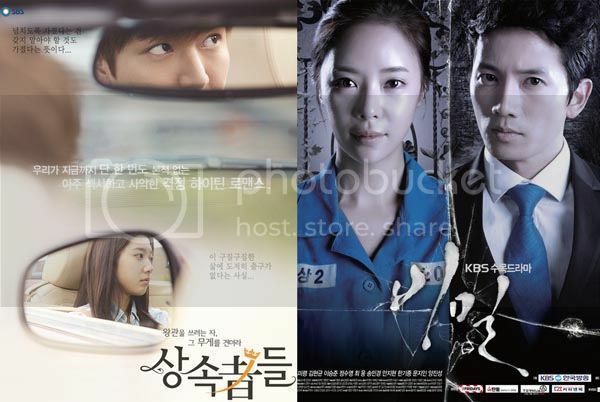 The KBS entertainment and drama departments are attempting to reignite Hallyu with new dramas. They are "Producers" and "The Descendant of the Sun". 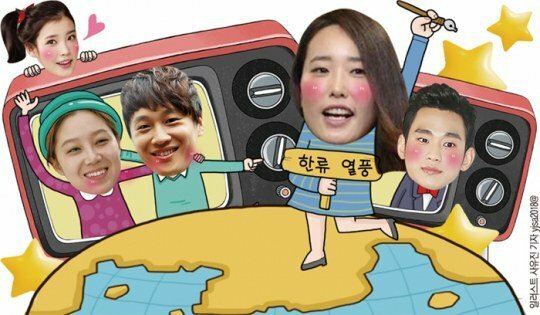 "Producers" is the story of entertainment Producerss who go to work every day to the broadcasting stations. "The Descendant of the Sun" is the love story between UN peacekeeper Captain Kim Si-jin and army surgeon Yoon Myeong-joo from Korea to stationing areas. The two dramas are such a big deal firstly because of the cast. Actor Cha Tae-hyeon, an icon in romantic comedies and warm energy, is starring in the drama "Producers" as a producer who is 10 years into his career. Kong Hyo-jin joins him in this one as a fellow producer. IU also stands out here. Not only is she a singer but a talented actress who starred in "Lee Soon-sin is the Best" and "Pretty Boy" and this time she's a well-fermented singer in "Producers". Expectations soar as news of Hallyu star Kim Soo-hyeon-I in the lead goes around. He will take on the role of an elite Producers and IU's crush. "The Descendant of the Sun" which is due at the end of the year, hasn't started casting yet but it determined to create a strong cast. Song Joong-ki who is discharged from National Service this May, is a likely candidate for the main role. China and Japan have great interest in these two new dramas because of the crew, the scale and the fact that they are written by Park Ji-eun from "My Love from the Star" and Kim Eun-sook from "The Heirs". Apparently, Kong Hyo-jin chose this drama because it was new to have the entertainment department create a drama and she also trusted Park Ji-eun. In addition to the writers Seo Soo-min-I from the KBS 2TV show "Gag Concert" is stepping on board with independent film director, Yoon Seong-ho. "The Descendant of the Sun" plans to be filmed overseas to perfection with pre-planned scenarios and potential. It's said that these two dramas will have Hallyu back on wheels. Experts say, "Ever since "My Sassy Girl" created an impact in China in the early 2000s, the drama plate has risen. "The Heirs" recorded 30 thousand or so dollars for every episode, "My Love from the Star" equaled roughly 35 thousand dollars and "It's Okay, That's Love" totaled 120 thousand dollars". People are paying attention to the meeting between the actress Song Hye-Gyo and the writer Kim Eun-Sook. It is because Song Hye-Gyo became a strong candidate for the casting of ‘The Descendants of Sun’ the new work of Kim Eun-Sook. On 12th KBS noticed official stand that the production crews are considering the cast of Song Hye-Gyo. In succession he said, “We hope Song Hye-Go accept the offer but nothing is decided yet.” The new work of Kim Eun-Sook drama ‘The Descendant of Sun’ is the human romantic drama about the love of characters who become closer in a desperate situation. The movie production company New and Right Hand participated production. Until now ‘The Descendants of Sun’ is not decided but it may be on July. Meanwhile Kim Eun-Sook wrote ‘Lovers in Paris’, ‘Lovers in Praque’, ‘On Air’, ‘Secret Garden’, ‘Gentlemen’s Dignity’, and ‘The Heirs’. Woohoo.. Song Joong Ki and song hye gyo.. love this pair. Hope song hye gyo confirms for this. 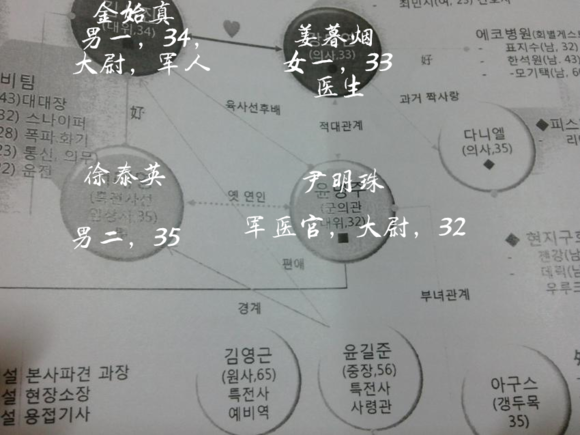 Love story between an UN peacekeeping force commander named Captain Kim Shi-Jin (34) and an Army Doctor named Yoon Myeong-Joo (33). Due to the UN’s request, they are stationed in the capital of another the country.